This is an awesome pic of one of our alliance mates setting up a Cyno for a friendly carrier. 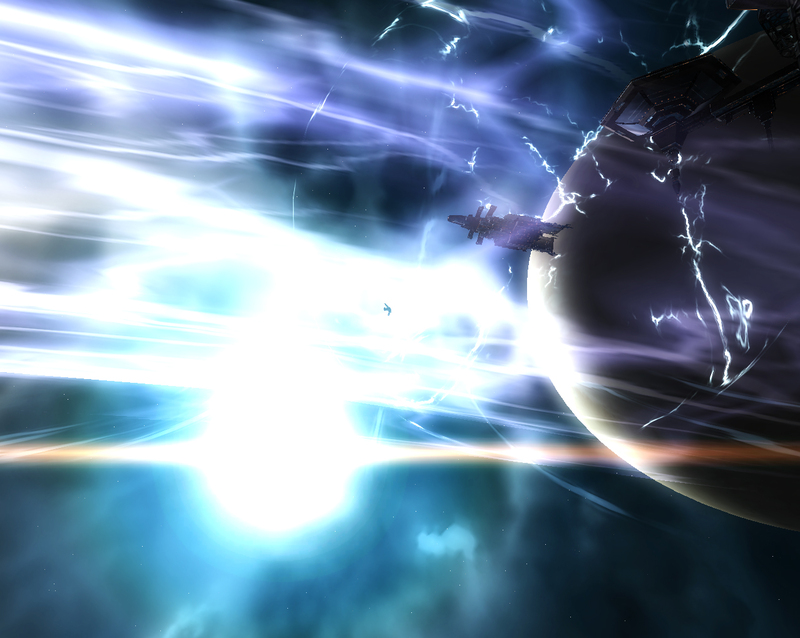 The alliance brought it in to deal with a red carrier that kept undocking. An awesome sight to see for sure. I would imagine it would look even cooler with a ton of cap ships jumping in. Here is a detailed look at the alliance carrier. Notice the nice little dronebay and launch pad underneath. Unlike many of the Minmatar ships, this one looks badass. This particular pilot was quite skilled and had 15 various fighters orbiting his ship. Not something to be toyed with. I remember lighting my first cyno and going “WTF? …oooh pretty light ^_^” as the ship came in. 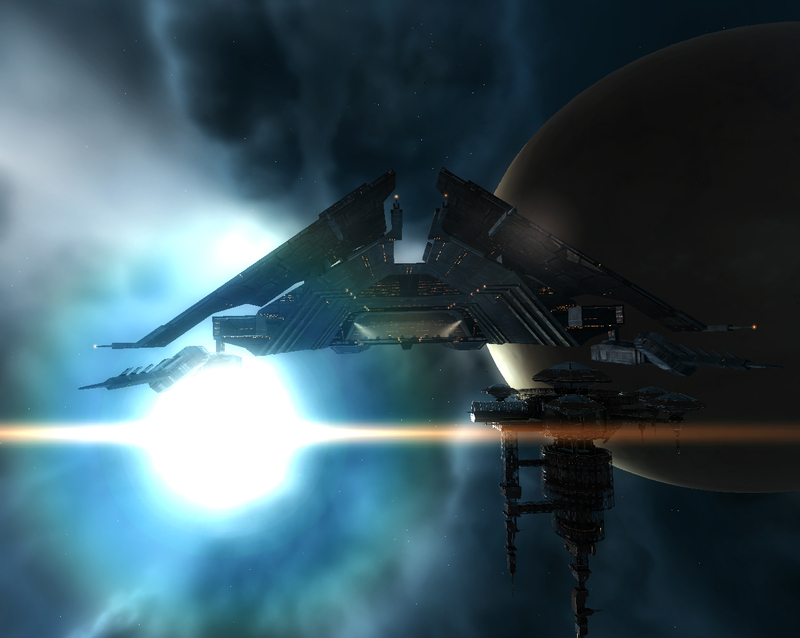 I think the best looking carriers in the game are of Minmatar and Caldari origin!